Prof. Barreto came to UCLA in 2015 with a joint appointment to Political Science and the César A. Chávez Department of Chicana/o Studies. Until 2015, he was Professor in Political Science at the University of Washington, Seattle, and director of the Washington Institute for the Study of Ethnicity and Race. His research examines the political participation of racial and ethnic minorities in the United States, and he has taught various courses on racial and ethnic politics, Latino politics, the Voting Rights Act, elections, statistics, and American politics. Most recently. Barreto was co-author (with Christopher Parker) of Change They Can’t Believe In: The Tea Party and Reactionary Politics in America (Princeton Univ. Press, 2014), and co-author (with Gary Segura) of Latino America: How America's Most Dynamic Population is Poised to Transform the Politics of the Nation (Public Affairs, 2014), as well as an author on nearly 50 peer-reviewed research articles. 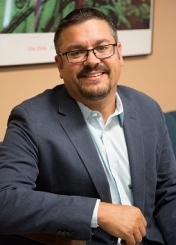 Since 2007, Barreto has also been a co-principal -- with Segura -- of Latino Decisions, a political polling firm surveying and analyzing the Latino vote, and has been invited several times to the White House to brief senior staff on Latino policy attitudes. Barreto received his Ph.D. from the University of California, Irvine, (Political Science, 2005).